It’s October. And do you know what that means? 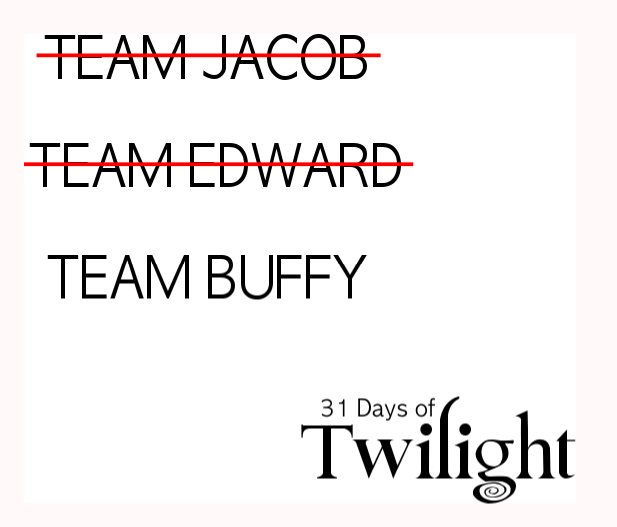 It means that 31 Days of Twilight is officially upon us. As you may or may not have heard, I’m joining some friends over at Snark Squad as we recap the book Twilight from The Twilight Saga by Stephenie Meyer. My first chapter went live today, so head on over to the Snark Squad website to check it out.